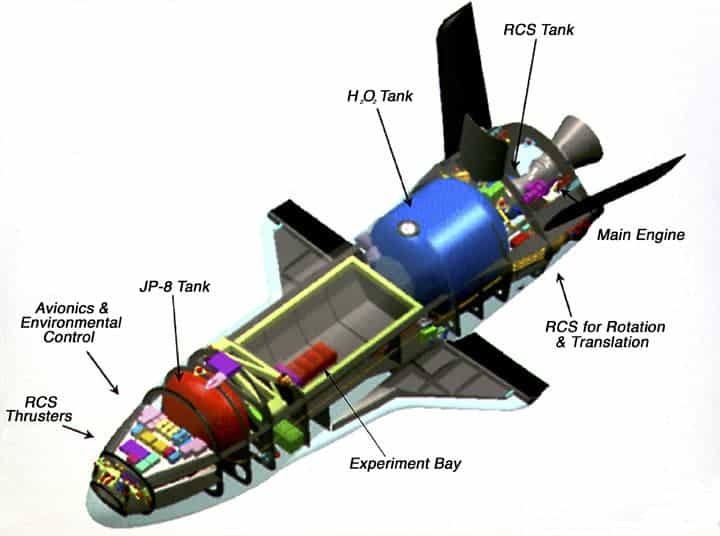 There’s been quite a bit of speculation surrounding the X-37B. The Air Force has been tight-lipped about the secretive military orbital vessel, and the public really doesn’t know much about it beyond the fact that it’s been in space longer than the military originally planned. Well, after 15 months of doing… whatever it is that the X-37B has been doing, the top-secret spacecraft will finally be making its return journey to Earth. Just this week Vandenberg Air Base, which is located about 150 miles northwest of Los Angeles, announced that they are making preparations to receive the vessel. They can’t give the exact date, as reentry conditions will be affected by “technical and weather considerations,” but they expect to bring it back home early- to mid-June. The Vandenberg Air Base is uniquely equipped to accommodate this important landing event. The Base boasts a massive three-mile-long concrete landing strip that was originally intended to support space landings. The fact that the landing will rely entirely on the sophisticated autopilot and GPS might leave a few Air Force officials biting their nails. Of course, the X-37B managed to leave the atmosphere and then put itself into orbit without a pilot, so at this point a landing procedure might be small potatoes by comparison. Still, the men and women of the Vandenberg Air Base aren’t about to leave anything to chance. Col. Nina antibiotics to buy online uk Armagno of the 30th Space Wing said that they are “ready to execute safe landing operations anytime and at a moment’s notice. ” With a state-of-the-art autopilot computer and a team of dedicated professionals collaborating on this landing, the X-37B should make a return trip. When it’s finally ready to drop out of the sky, the X-37B will fire its propulsion system to slow its orbiting speed, which will send it plummeting back to Earth. The craft will enter the atmosphere high above the Pacific Ocean — an excellent safety measure just in case something goes wrong — and will cruise towards the California air base. Will the USAF finally declassify this mystery vessel once it’s safely in its hangar? It’s impossible to say for sure, but we are bound to get an answer one way or another in the next couple of months. Some hobbyists and spacecraft enthusiasts think that they may have figured out the X-37B’s secret. They’ve kept their eyes to the skies, tracking the X-37B as it shifted its course during its 15-month-long flight. The spacecraft has been operating in an orbit that brings it over repeating ground tracks in intervals of two to four days. That’s been a favorite tactic for US imagery satellites. For all of the red tape and “Classified” stamps, the X-37B may just be snapping photos.